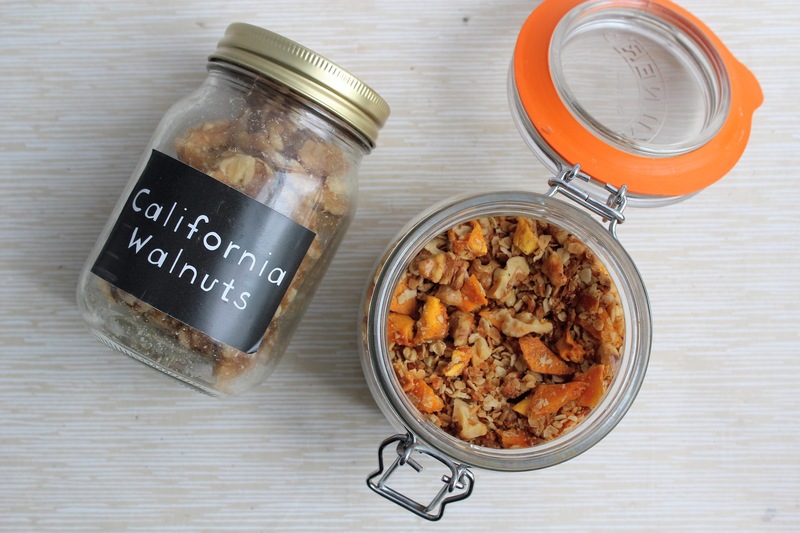 Working with California Walnuts, their ‘Wellness Cracked’ campaign aims to champion the many health benefits of this so-called ‘super nut’ as well as its versatility as a healthy snack and cooking ingredient. Being a huge lover of all kinds of nuts – walnuts in particular – of course I was keen to get on board with this project! What’s not to love?! As well as snacking on them and incorporating them into healthy recipes like this Vegan Banana, Date & Walnut Loaf and Coffee Walnut Layer Cake. 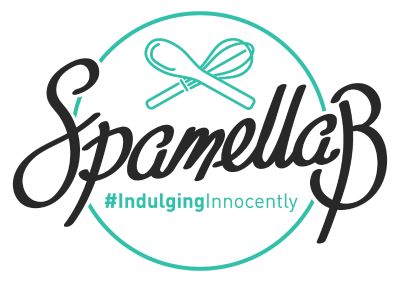 I was challenged to create a recipe using 5 ingredients (I used 6 – oops!) to help show off how walnuts can be easily and imaginatively used in everyday creations. With breakfast being my favourite meal of the day I thought I’d make my own summer-inspired granola. Preheat the oven to 170 degrees C and place a sheet of greaseproof paper on a large baking sheet to cover. 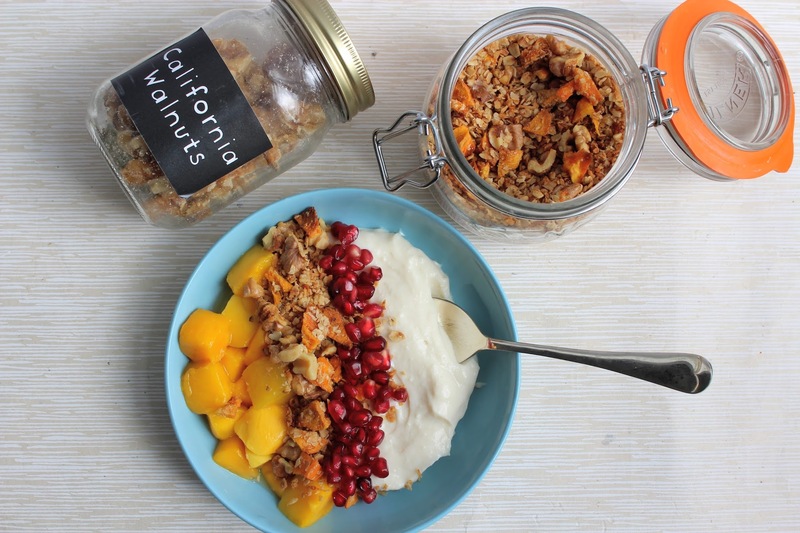 Mix together the oats, walnuts, coconut and mango in a bowl. Melt the coconut oil and pour in along with the maple syrup/honey and mix well to combine. Spread this out in a single layer then bake for about 15 minutes until golden – keep an eye on it and every 5 minutes shake the tray around for even baking. Set aside and leave to cool – it will go nice and crunchy – then transfer to an airtight jar or container. 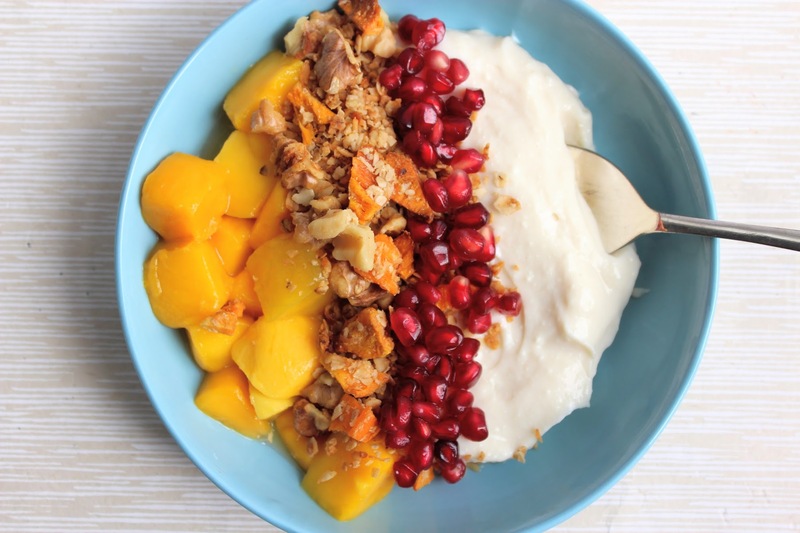 I served some with coconut yogurt, mango and pomegranate seeds – yum! 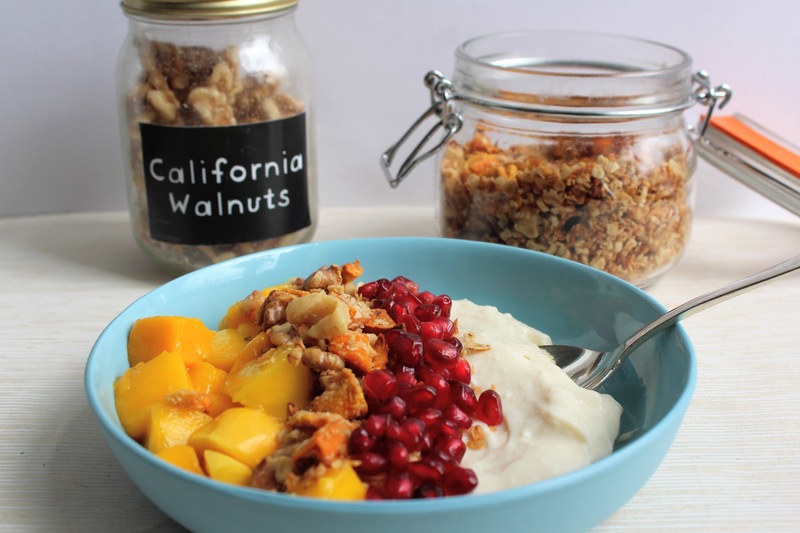 Follow California Walnuts on Facebook, Twitter and Instagram and check out the hashtag #wellnesscracked for more nutty inspiration!